EZrail™ RGBA is a battery-powered, linear wash light designed for mobile applications where power is an issue. A rechargeable lithium-ion battery powers all 160 LEDs for up to 20 hours using a single charge. 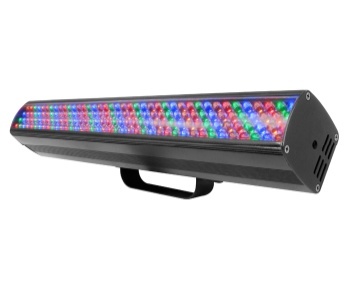 Perfect for area washes or uplighting, it is controllable in up to 4 sections and becomes a wireless DMX solution when paired with a D-Fi™ receiver.